It's a great breakthrough when every person including blind, deaf and dumb people can be able to use the essence of technology. Unless, the technological advancements we achieved till now will be of no use. 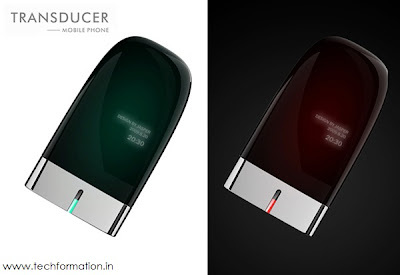 Mobile phone manufacturers generally use some techniques to overcome these up to some extent. One example is, we can feel a bulge dot in the center of the phone keypad (on the 5 button). This ensures that blind people too can use the basic features of the phone. What about dumb and deaf people who cannot hear the conversation and make the conversation? 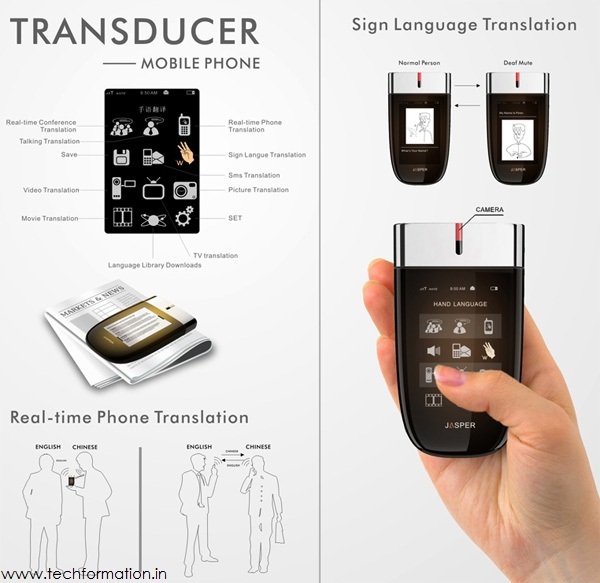 Transducer Mobile phone is the boon to such kind of people which can translate the conversation to any kind of language (known languages) including sign language. So people with disabilities too can make use of mobile phone to the fullest. Not only the phone conversation, every feature in the phone can be translated to the customized language. Illiterate people too can use this phone. 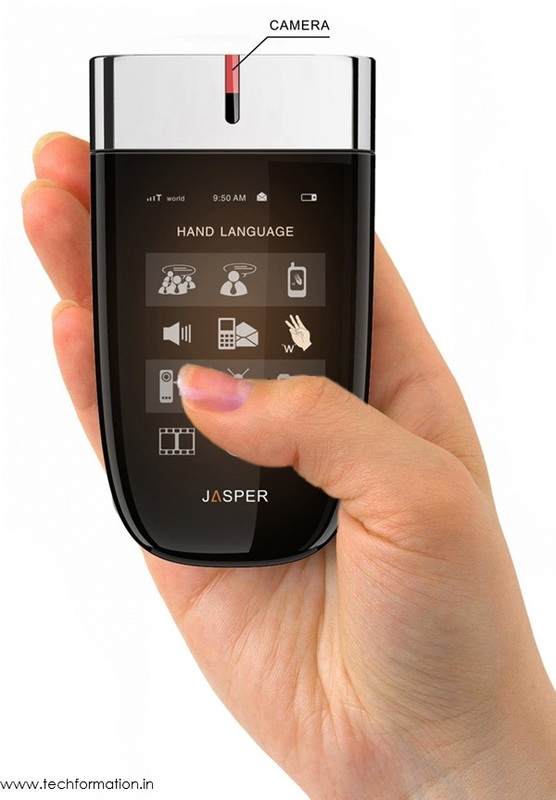 SMS will be translated to any language including sign language which demonstrates the content of the message. Videos, pictures, conference and all the multimedia features will be translated. Despite of its excellent real time use, this phone looks really awesome. 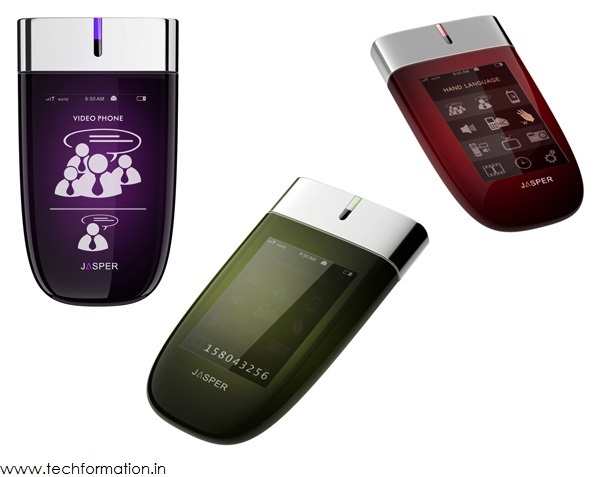 Equipped with digital OLED touch screen, it has a LED camera at the top center. 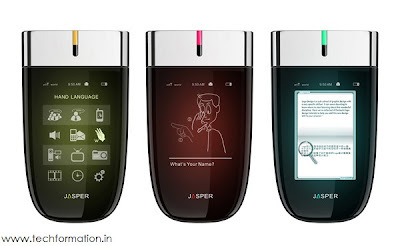 It is stuffed with complete multimedia capabilities which makes it universally usable gadget.